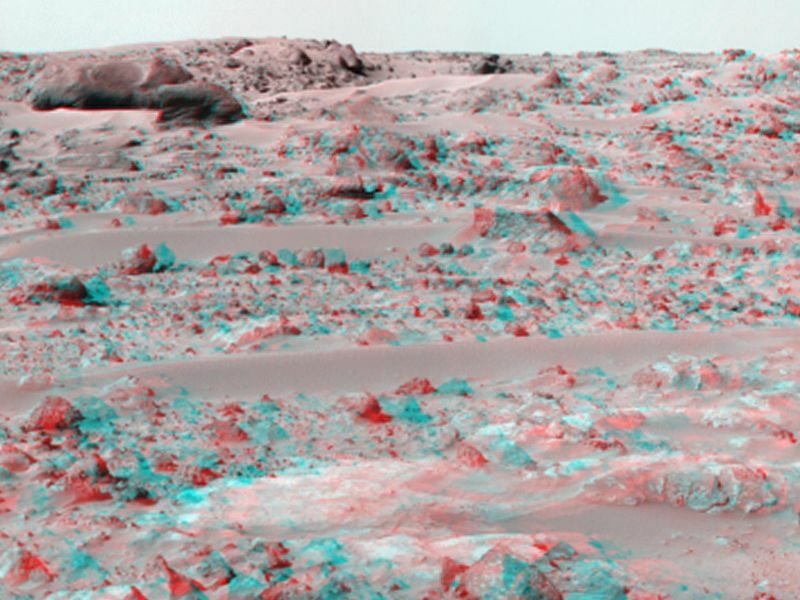 This panorama of the region to the northeast of the lander was constructed to support the Sojourner Rover Team's plans to conduct an "autonomous traverse" to explore the terrain away from the lander after science objectives in the lander vicinity had been met. The large, relatively bright surface in the foreground, about 10 meters (33 feet) from the spacecraft, in this scene is "Baker's Bench." 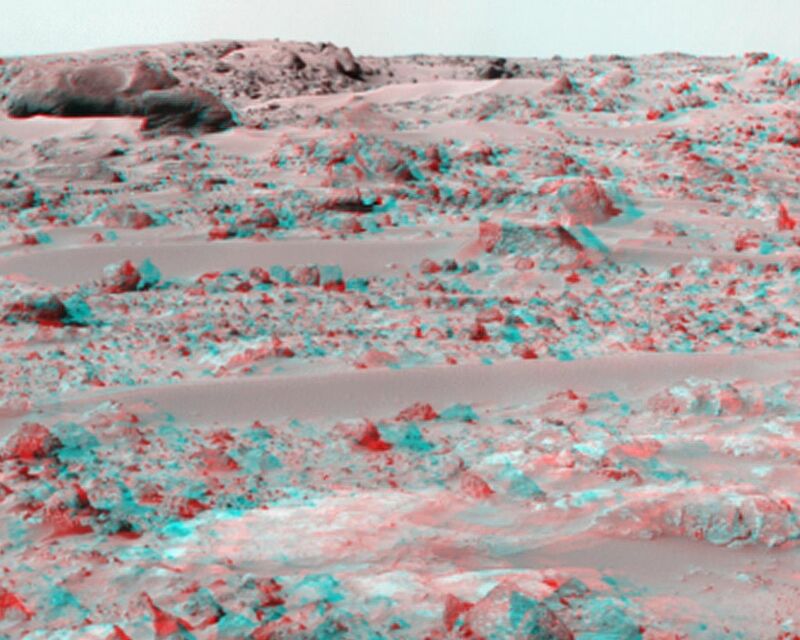 The large, elongated rock left of center in the middle distance is "Zaphod." 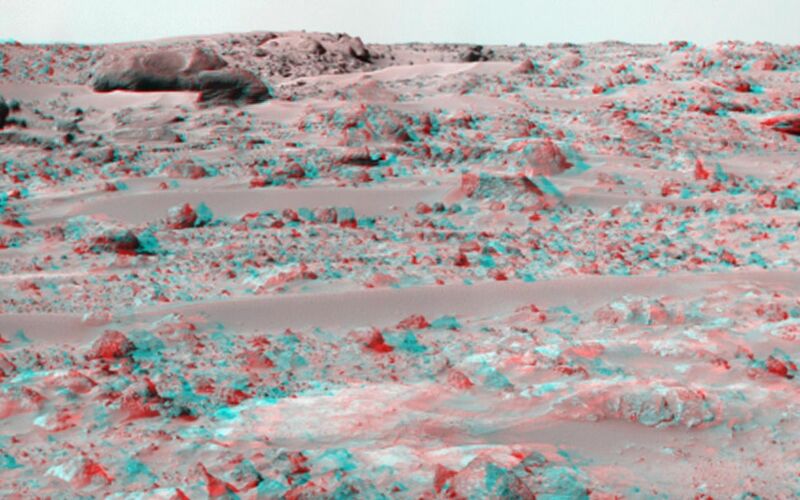 This anaglyph view was produced by combining the left and right eye mosaics (above) by assigning the left eye view to the red color plane and the right eye view to the green and blue color planes (cyan), to produce a stereo anaglyph mosaic. This mosaic can be viewed in 3-D on your computer monitor or in color print form by wearing red-blue 3-D glasses.